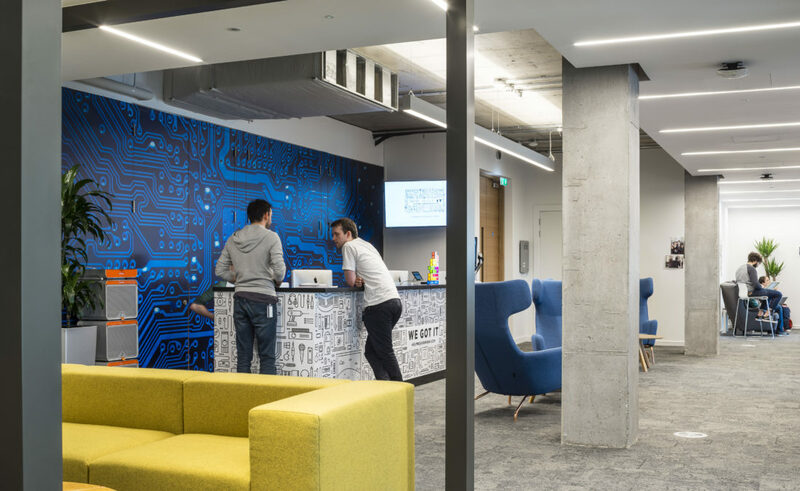 During mid-2013, Dropbox announced that they were setting up their International Headquarters in Dublin. 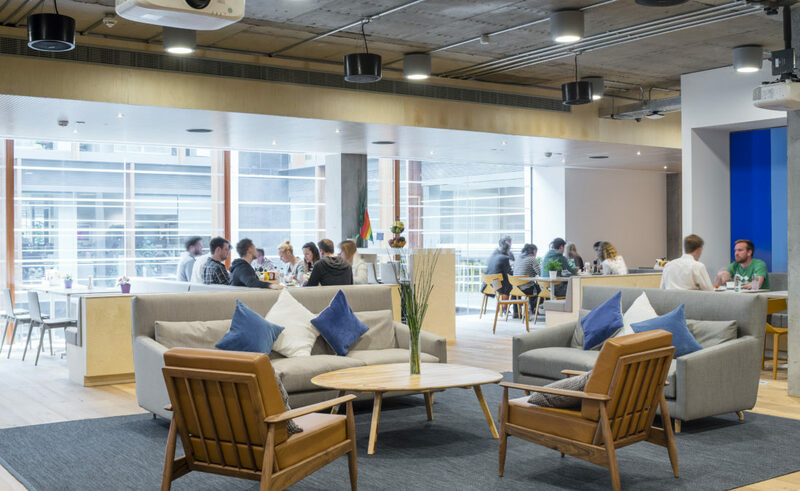 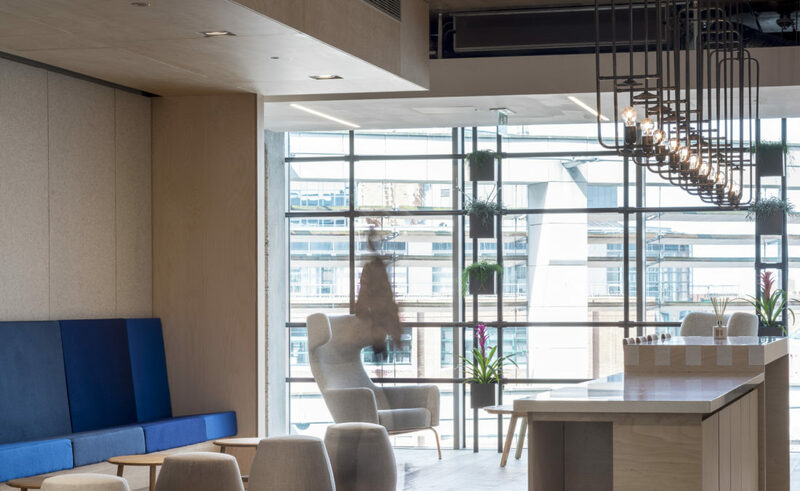 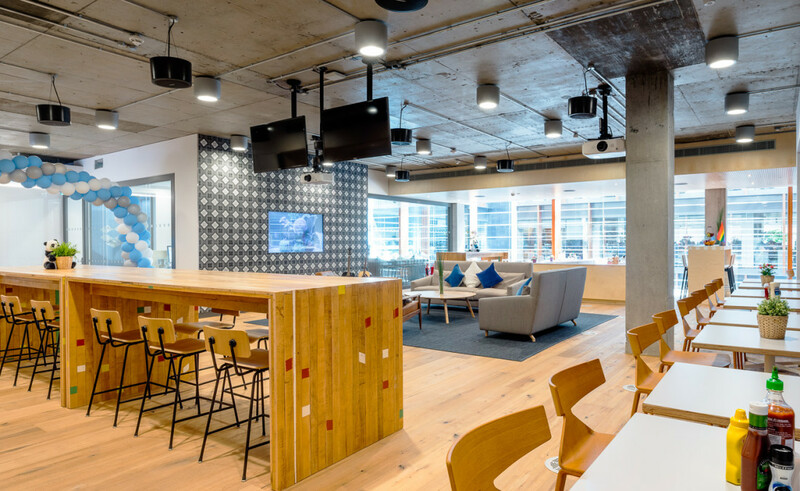 The fast growing cloud computing company, based in San Francisco, planned to occupy over 7,500m² of office space over 3 floors, in One Park Place, Hatch Street Upper. 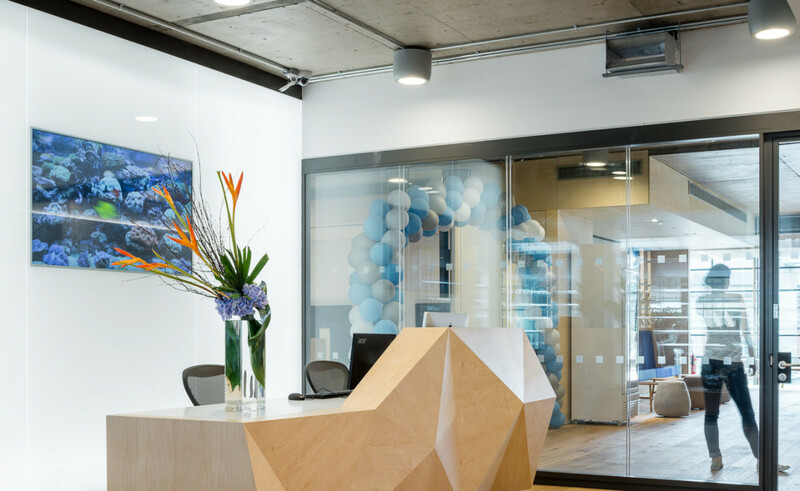 The office building, located on Hatch Street, benefits from dramatic panoramic views over the Dublin skyline, Harcourt Train Station and the beautiful Iveagh Gardens. 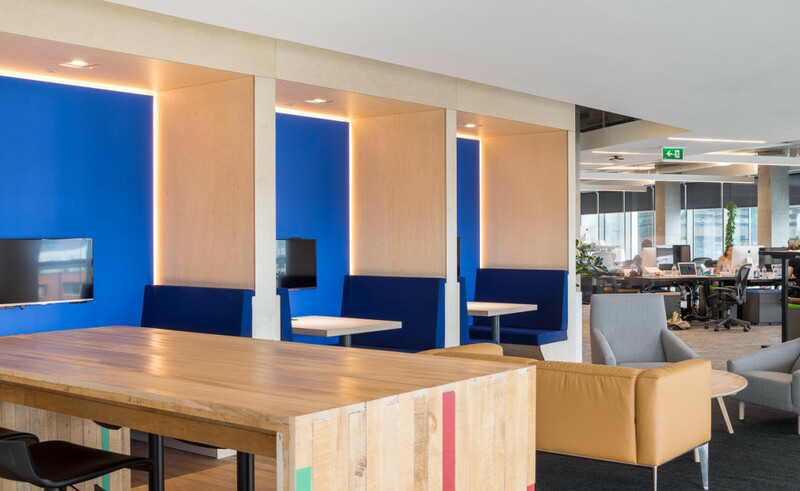 In March 2014 MOLA Architecture, in collaboration with IA New York, were commissioned to design and construct Phase 1 of this development, to be located on the 5th Floor of the building, with an area of 2,615m². 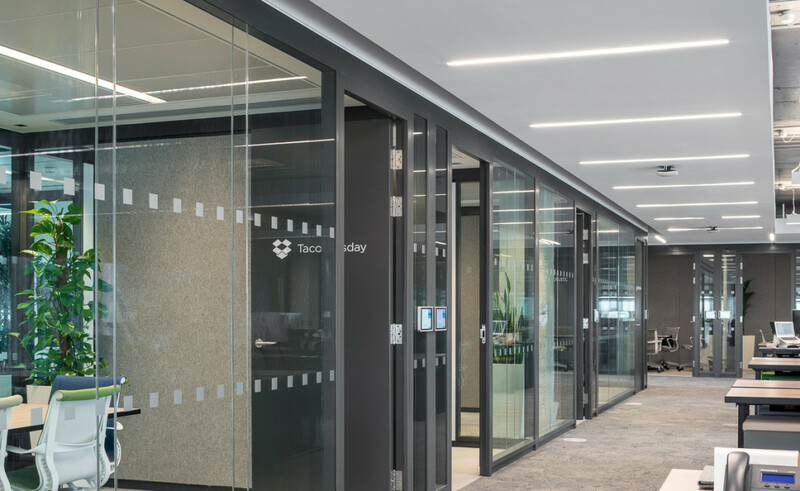 With the recent successful completion of Phase 1, the design of Phase 2 will commence shortly, with Phase 3 to follow. 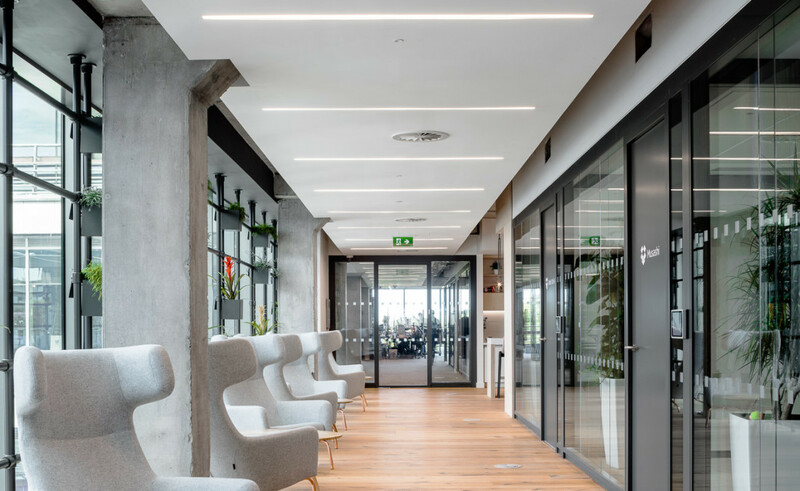 The brief called for outstanding, functional design with fastidious execution. 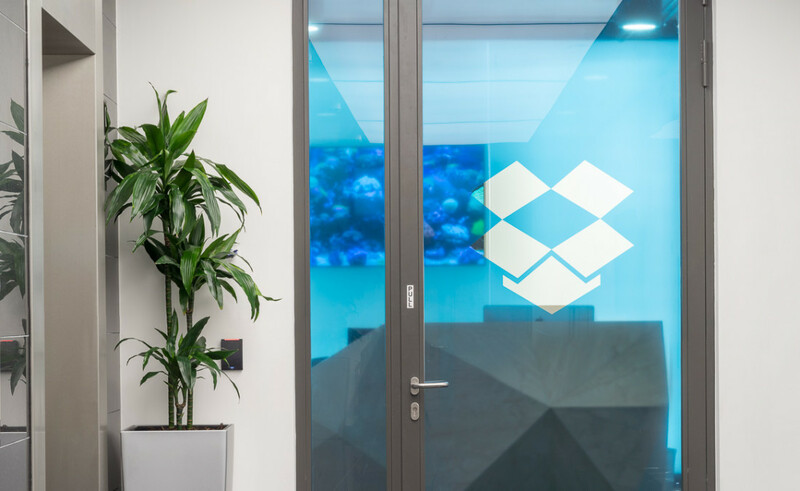 The architecture required for this project needed to enhance and maintain the Dropbox culture. 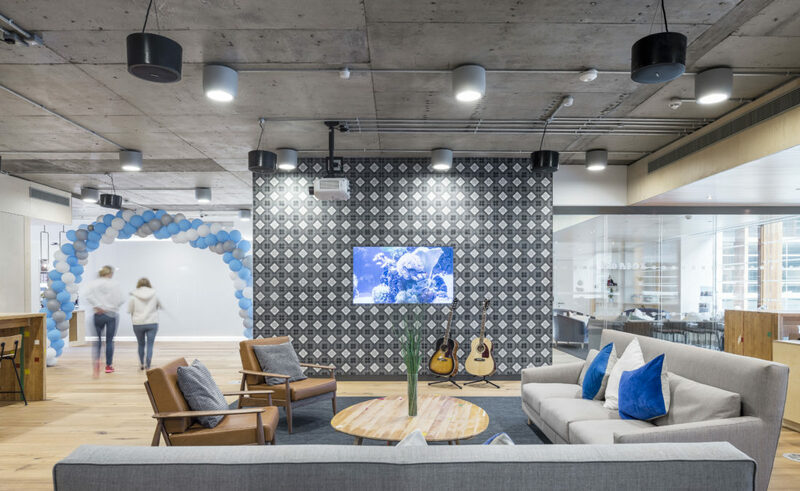 The spaces were to be clever and beautiful but also scaled to human appreciation, while being functional and stimulating, with freedom to be enjoyed by all of the Dropbox team. 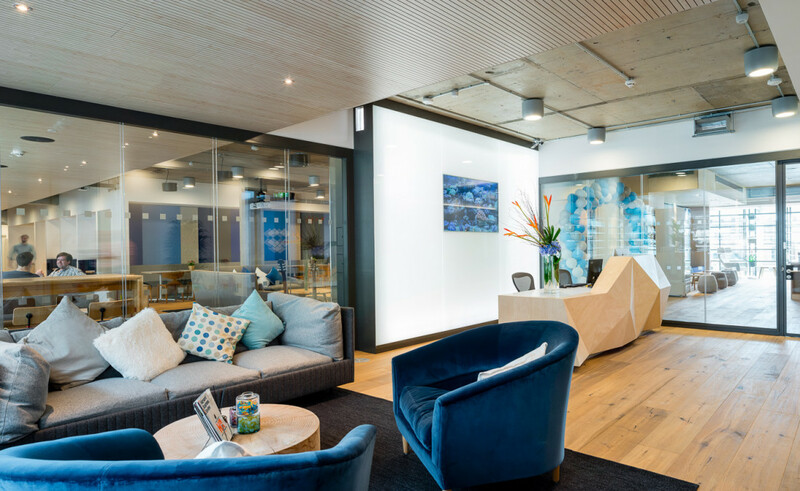 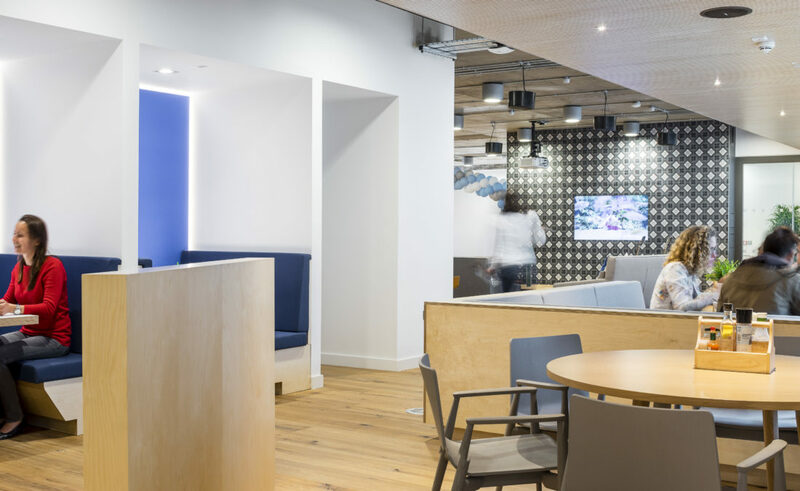 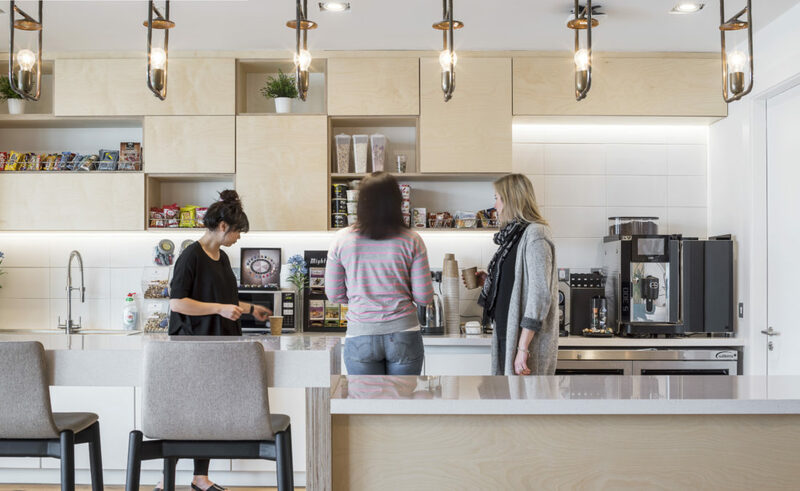 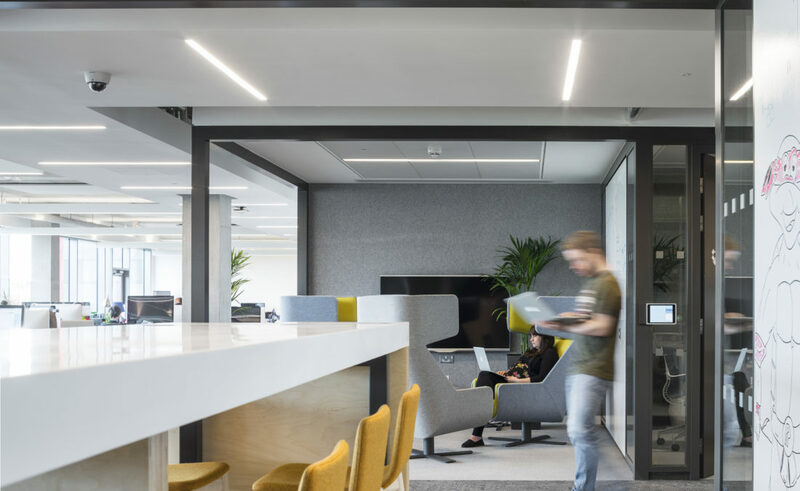 Central to the client’s aspirations was the retention of the intimacy and connectivity between all staff members and work groups. 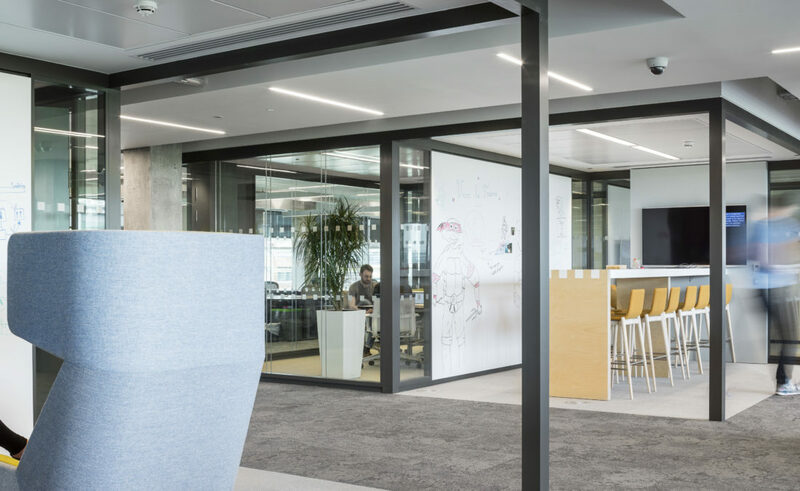 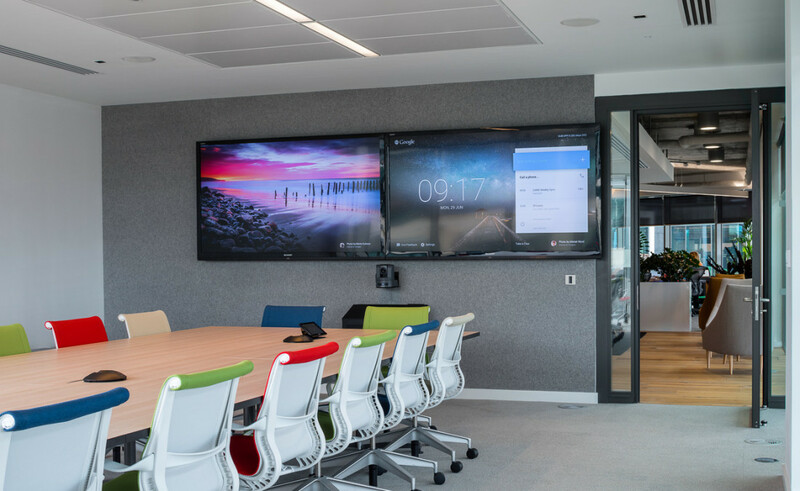 Open plan workspaces were broken down to a more personalised scale and wrap around the perimeter of the floor plate and maximise daylight and views. 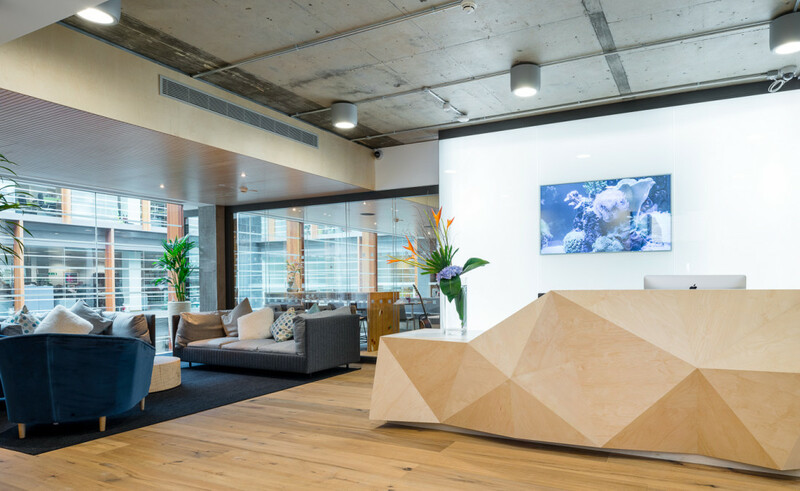 The design is driven from the inside out, with the individual at the centre. 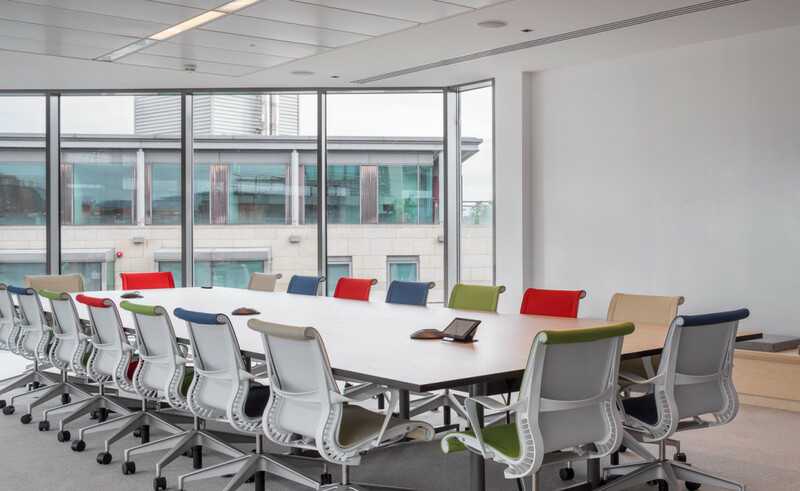 Workstations incorporate sit stand benches which can be adjusted to any height and can also be rotated to provide the user with multiple work positions.